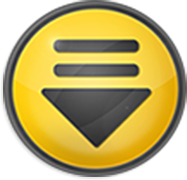 Download speeds by up to 5 times, resume and schedule downloads. Comprehensive error recovery and resume capability can restart broken or interrupted downloads due to lost connections, network problems, computer shutdowns, or unexpected power outages. You can easily set up a Batch Download that not only downloads a large list of files using an URL pattern template, but also automatically renames downloaded files using a filename pattern template. !! Fixed YouTube download !! due to the changes casued by YouTube update of its video pages on March 3, 2011. !! Fixed incorrect download state when trying to Re-Download with the global option of Download Behavior as "Start Manually" and "Start Scheduled"
+ Added background ShellIcon fetch thread as well as a ShellIcon cache to speed up drastically on program startup when there are many downloads. o Enhanced main GUI such that it will no longer sticky when scrolling up and down even if there are many URLs/downloads. !! Fixed - YouTube Major Upgrade on April 1, 2010 resulted 1-Click Download button to disappear from YouTube video pages. + Added Vimeo.com with HD support! + Added Internet Explorer 8 Support. + Added ability to capture YouTube HQ (High Quality) and HD (High Definition) video in either FLV or MP4 format. + Added Dynamic Multi-Language Support. + New GetGo Toolbar - for both IE and Firefox. + New GetGo Toolbar - Flash Video Detection: Supports not only YouTube, but also Myspace, Myspace, Google Video, MetaCafe, DailyMotion, iFilm/Spike and more. + New GetGo Toolbar - Flash Video Detection: Supports ANY web sites with embedded FLV video. + New GetGo Toolbar - Flash Video Detection: Supports capturing video title with Multi-byte chars (such as Chinese/Japanese). + New GetGo Toolbar - Flash Video Detection: Selecting a detected video in the GetGo Toolbar downloads it automatically using GetGo Download Manager. + Auto Download Password Selection - When downloading files from a site that requires a username/password, GetGo will now automatically select one if there is a matching domain. + Easy-to-use "one-click" YouTube video download in IE, Firefox/Mozilla web browsers. + Smooth Vista User Access Control (UAC) and Internet Explorer 7 protected mode handling. + Integrated Ask Search into GetGo IE Toolbar and Main GUI for easy searching. + New Office 2007 themed UI by default as well as a number of new themes. + Updated Firefox/Mozilla browser Addon with download confirmation dialog. + Brand new installer with company digital signature. + Option to shred downloads when deleting them from disk. + YouTube video download. You can now download your favorite YouTube videos to your PC!! Just enter the video URL from YouTube, GetGo will automatically process the request and download the video as ".flv" format (Flash video). + Added auto-categorization basing the final download filename extension, even when you paste a URL into GetGo without showing the NewDownload dialog. + Enhanced batch downloading to download a large list of files and automatically rename them using a filename pattern template. + Leech download capability: a faster and more convenient way of getting all the downloads you need from an entire web page. + Download priority: set multiple download tasks to ¡°pending¡± and prioritize the downloads so that preference can be set for important downloads. + Record streaming video: set up and automatically record MMS video recordings and have them play on Windows Media player. + IE toolbar integration: a GetGo toolbar that is integrated in to your browser for fast and easy downloading. + Enhanced IE integration: Launch from IE using a button or context menu. + Image viewer: Display your downloaded images in GetGo. + Customizable toolbar: Create your own toolbar buttons, show or hide the standard tool bar, and arrange buttons for more convenient access to all the features GetGo offers. + Interface themes: 7 new themes to choose from for your GetGo window layout. You can also setup your own color scheme for GetGo. + Dockable windows: re-configure the section of the GetGo window the way you want.